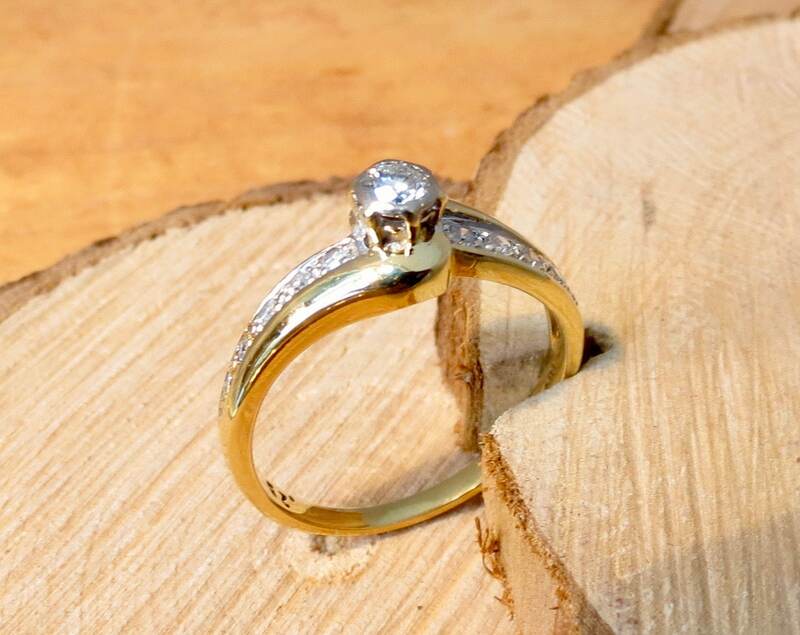 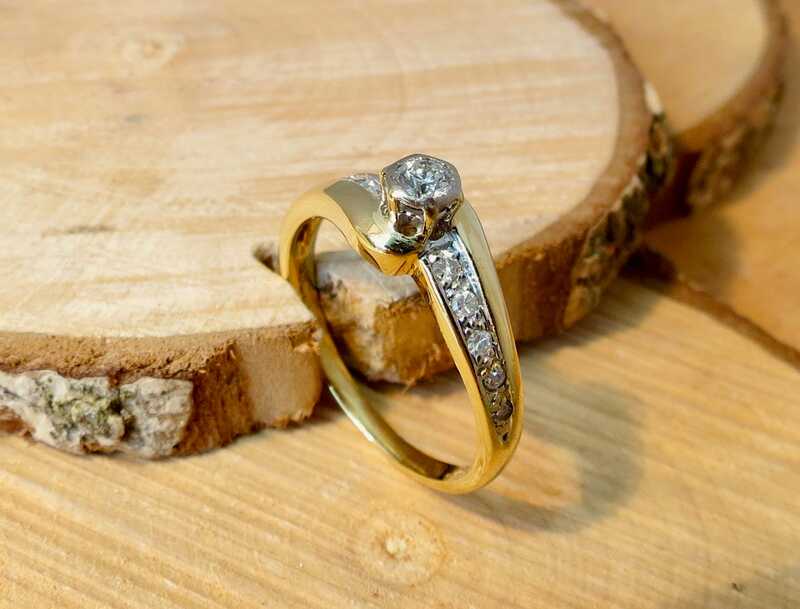 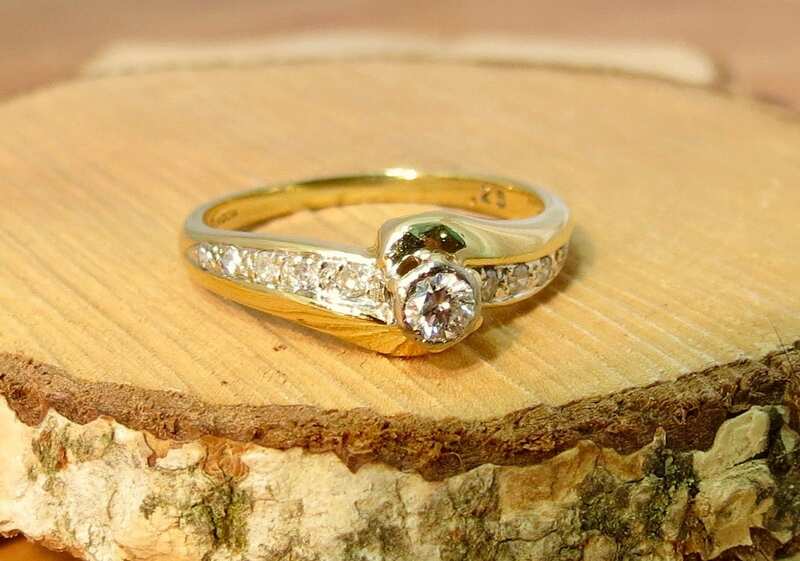 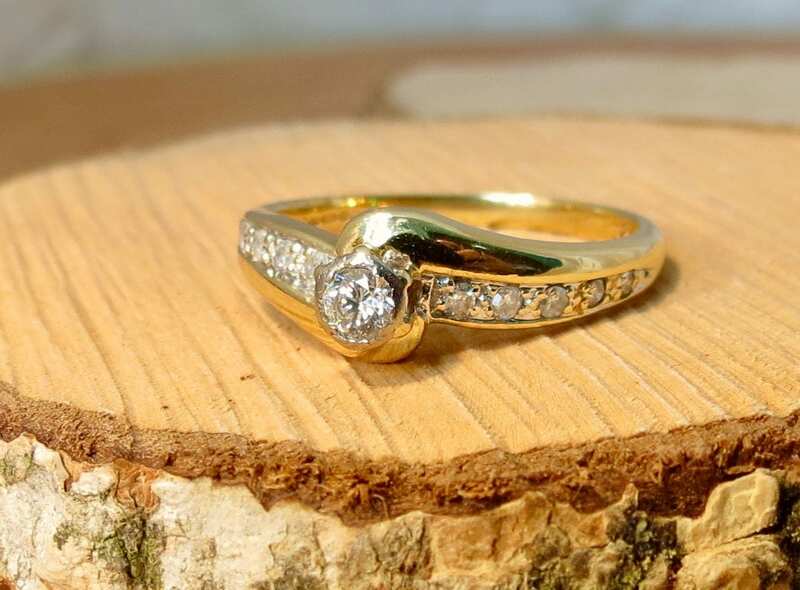 A vintage 18k yellow gold 1/4 Carat diamond solitaire ring. 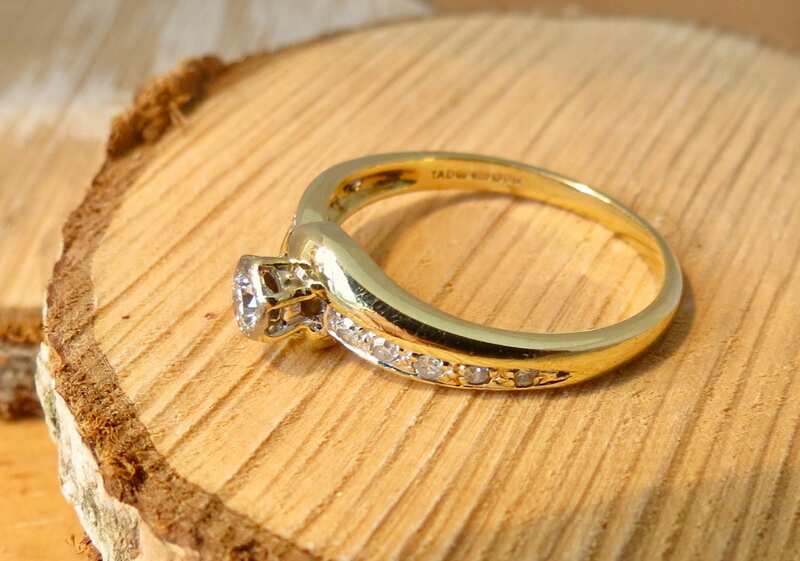 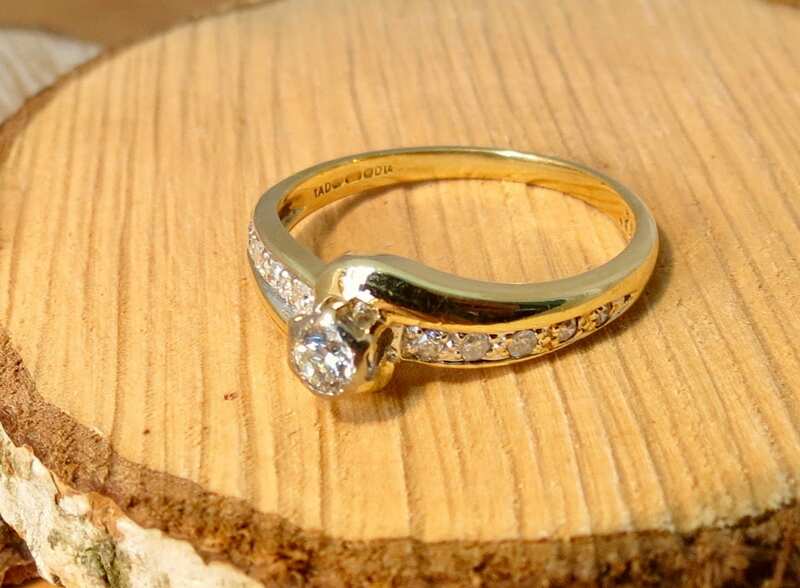 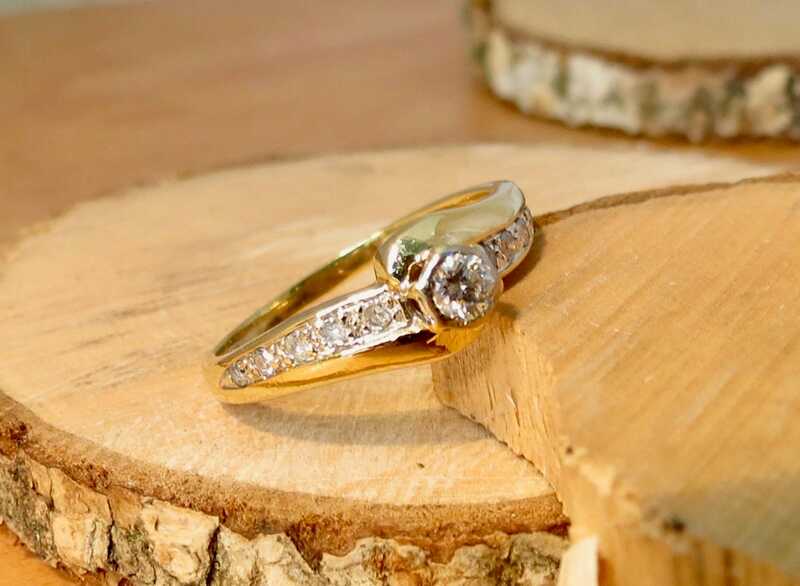 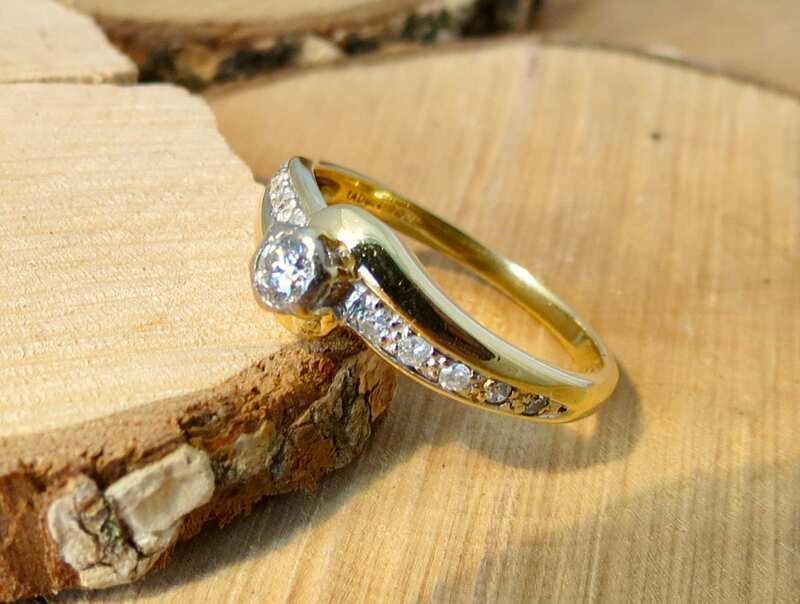 This vintage 18k yellow gold ring has 1/4 Carat of brilliant cut diamonds. 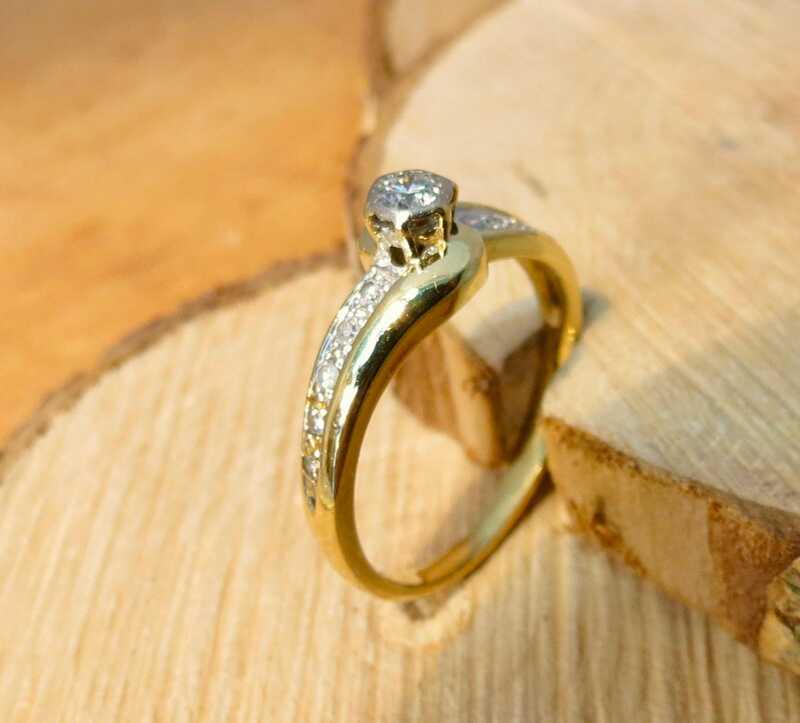 A single solitaire claw set diamond on turned solders leads to diamond accented shoulders in a channel setting.